Russia plans to build its own orbiting space station by 2023, President Vladimir Putin said Thursday during a marathon call-in session with the nation. "By 2023, we plan to create our own national space station in orbit," Putin said. "This is something far-off in the future, but also necessary for us from the point of view of our national economy." Russia and NASA recently agreed to keep operating and financing the International Space Station at least until 2024, but future joint space projects remain in doubt, as relations between Russia and the US have plunged to post-Cold War lows over the Ukraine conflict. The Kremlin strongman said Russia needs its own space station to be able to view its own territory properly from space. "We use the ISS actively for science and the economy, but from the ISS only 5 percent of the area of Russia can be seen," Putin said. "From a national station, we should be able to see the whole of the area of our huge country." "It goes without saying we will bring this project to fruition, and without any doubt, it will be under our control," Putin said. Russia said earlier this year that it planned to create its own space station using its modules from the ISS after it is mothballed. In March, the head of Russia's space agency, Roscosmos, said at Baikonur after meeting his NASA that Russia would work jointly with its US counterpart on a project of a new orbital station. But NASA did not confirm such a plan, saying only that the heads of NASA and Roscosmos discussed future cooperation. China has also announced plans to complete a permanent orbiting space station by 2023 as part of ambitious plans to become a superpower in space. The Russia-Soviet space station Mir was ditched in 2001 after 15 years of service. 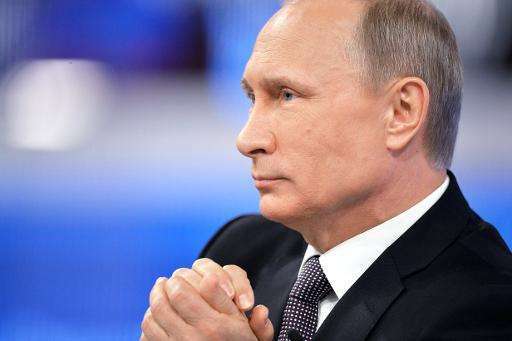 Putin was speaking during a national phone-in that included a video link with workers at Russia's new cosmodrome under construction, Vostochny in the country's far east. The new launch pad is designed to reduce Russia's reliance on its rented Baikonur cosmodrome in Kazakhstan. The delayed Vostochny project is mired in scandal, however, with those in charge of the construction under investigation and suspected of misusing millions of rubles in state funds.